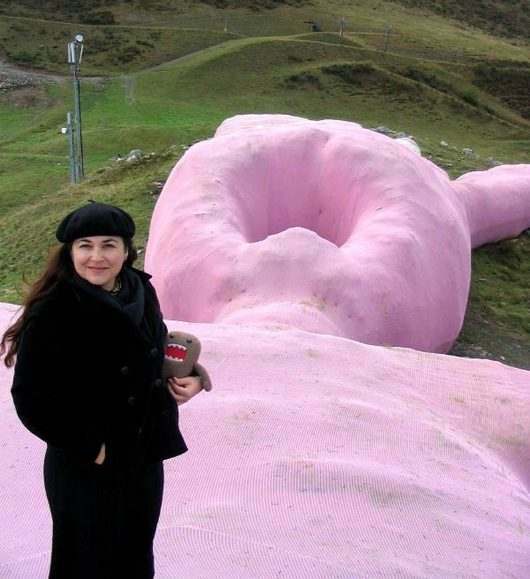 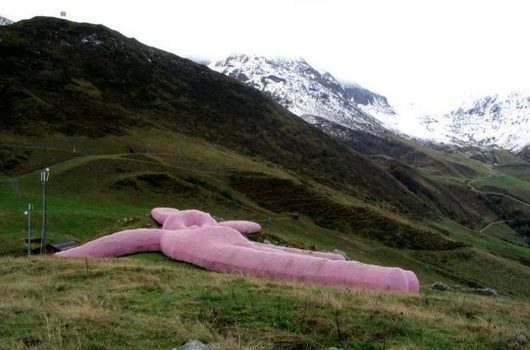 A group of artists called Gelatin have knitted a huge pink rabbit and left it lying on a hill in northern Italy. 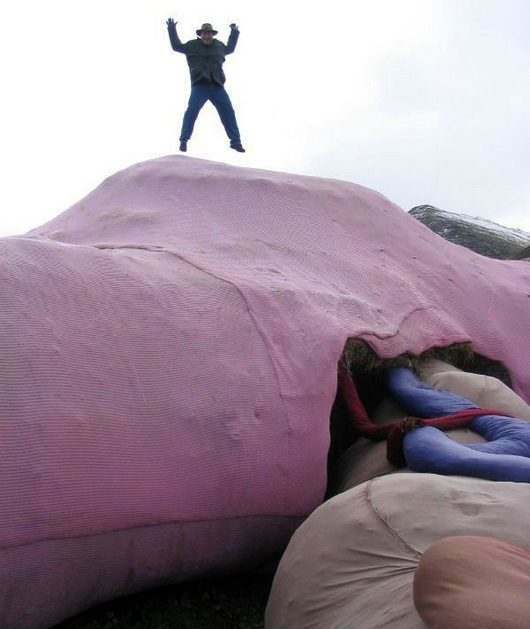 It is made of soft, waterproof, materials and is stuffed with straw. 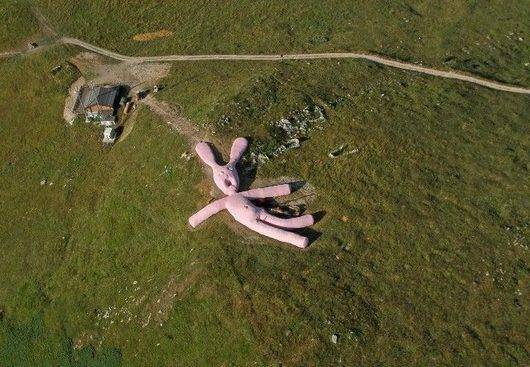 The bunny attracts many visitors each year and can now be seen via satellite on the internet. 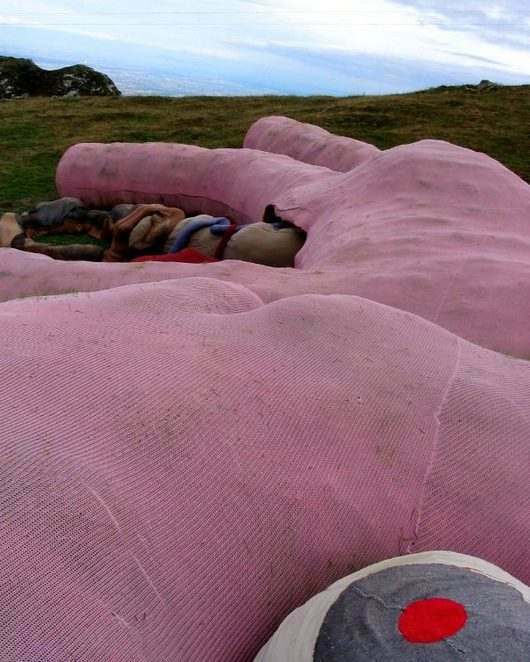 It is expected to remain on the mountain side until 2025. 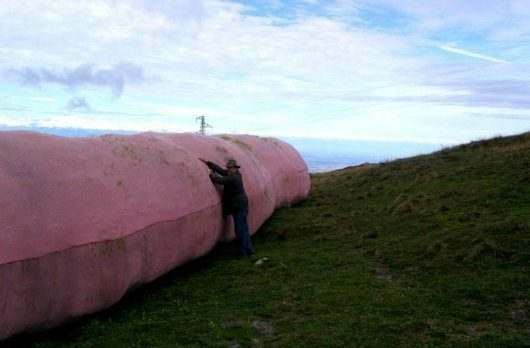 This rabbit is 200 foot long!